If you were unable to attend The Special Evening at The Guthrie Theatre with Michele Norris and MPR Host Kerri Miller about The Grace of Silence and The Race Card Project™ you can watch the event in its entirety here. Listen to the rebroadcast posted to the MPR website, www.mpr.org. View clips from the event here. The idea for a community read grew out of a controversial debate about a proposed dog park in a Southside recreation area named for Rev. Dr. Martin Luther King Jr. Some residents wanted to have a space for their dogs to roam freely in the Park. Older black residents in the neighborhood were incensed by the idea and fought hard to stop the project. A series of meetings about the dog park turned ugly. There was finger pointing, tears and great discomfort. But the community around King Park did something remarkable. They decided to use the debate and the discomfort to launch a deeper dialogue on race and understanding and neighborhood history. Many of the newer and younger residents did know about the efforts to integrate South Minneapolis neighborhoods. Many of the longtime residents were happy to see new neighbors pour resources into renovating homes and businesses but were also worried that the old character of the community would change. The residents locked arms and created a group called Building Bridges, led in part by Minneapolis City Council woman Elizabeth Glidden. 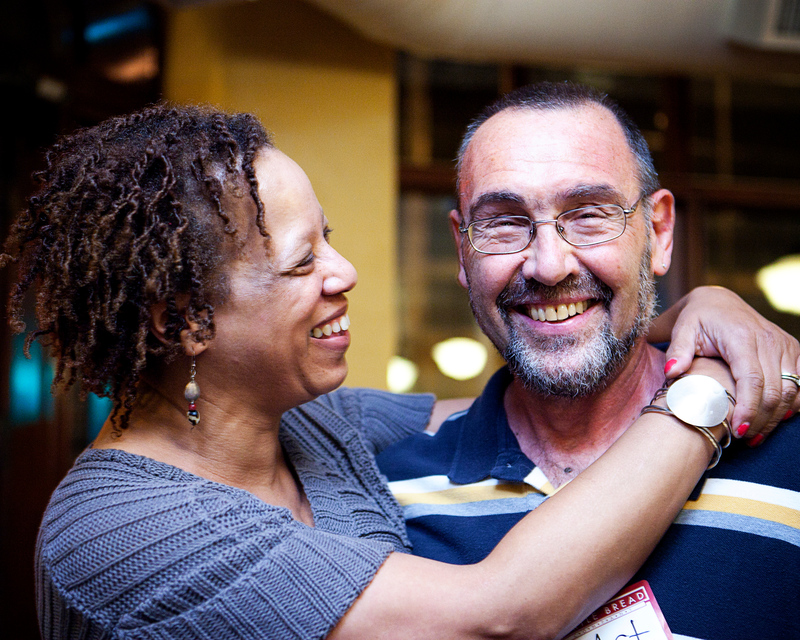 The Building Bridges group became a model for the effort to build greater dialogue through a common read. The City of Minneapolis, Hennepin County Libraries and The Minneapolis Public Schools are promoting literacy and respectful public dialogue through the initiative. Several colleges, churches, community groups, book clubs and neighborhood councils are also participating. Residents throughout the Twin Cities can get involved by exploring important and sometimes difficult issues through events and dialogue. 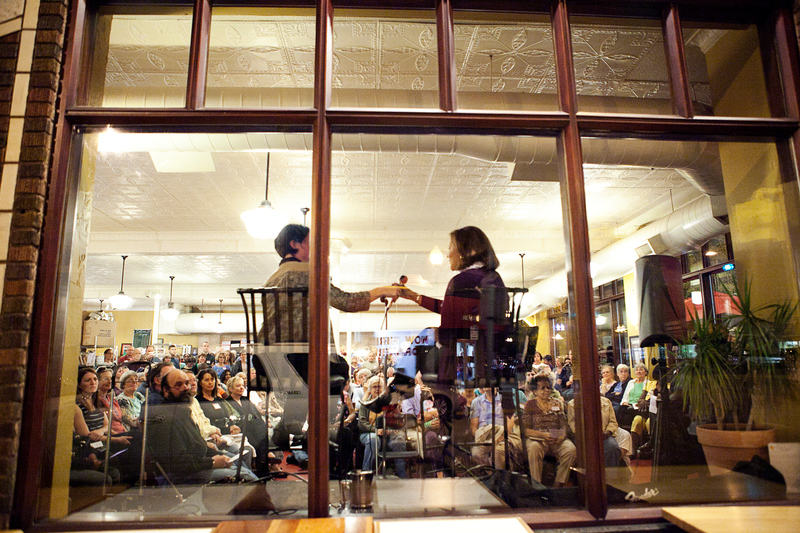 The Turtle Bread Bakery on Chicago Avenue was the site for one of those events the first week of October. In the neighborhood that once rejected my parents when they became the first black family to purchase a home on our block, residents came together for an open and honest discussion about race. It was wonderful to see so many familiar faces. 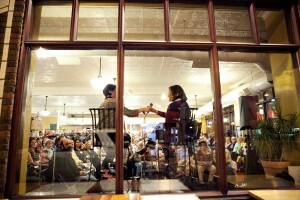 And it was amazing to be a part of such a rich conversation. * Photos courtesy of Amy Wurdock Photography. As part of the One Read program, The Twin Cities is also participating in The Race Card Project ™ where I collect thought on Race in six words. I began the project to help kick start a conversation on a difficult topic when I first started traveling the country on book tour in the fall of 2010. 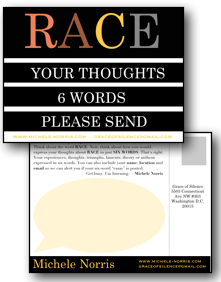 Since then I have received thousands of submissions from all over the U.S. And, thanks to twitter and Facebook, I have also received six-word essays on race from distant corners of the world including, Brisbane, Osaka, Abu Dhabi and Dublin. 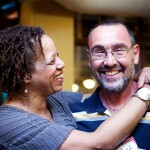 I’ve heard from people from seemingly all walks of life presenting all kinds of viewpoints. And now I have heard from so many people in Minneapolis that I have created a special place to post the six word spurts from Minneapolis so people in the community can get a sense of what the conversation on race sounds like in the Twin Cities. In many cases the six-word essays are the beginning of a much deeper story and over time I will try to post more of those full narratives in the “Your Stories” section of the website. 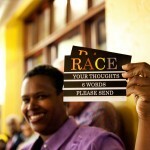 Please take the time to check out the Race Card Wall to see a full display of many of the six-word submissions. They are thoughtful, funny, heartbreaking, brave, teeming with anger and shimmering with hope. Some will make you smile. Others might make you squirm. And there are a few that might make you wonder why they deserve a place on this website. Here’s the answer: If the intention is to use these cards to get a peek at America’s honest views about Race, then I must try to honor those people who offer up candor, even if what they share is unsavory or unacceptable in some people’s eyes. 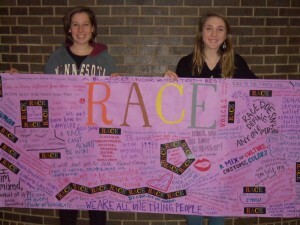 Lucy Hennen and Rachel Kranz, two students from Tanya Hodge’s South High VOICES class, used the Race Cards from their class combined with submissions on The Wall to create a powerful mural in the main hallway of the school. Tanya Hodge said the mural has become a real focal point in the school and a topic of rich discussion. 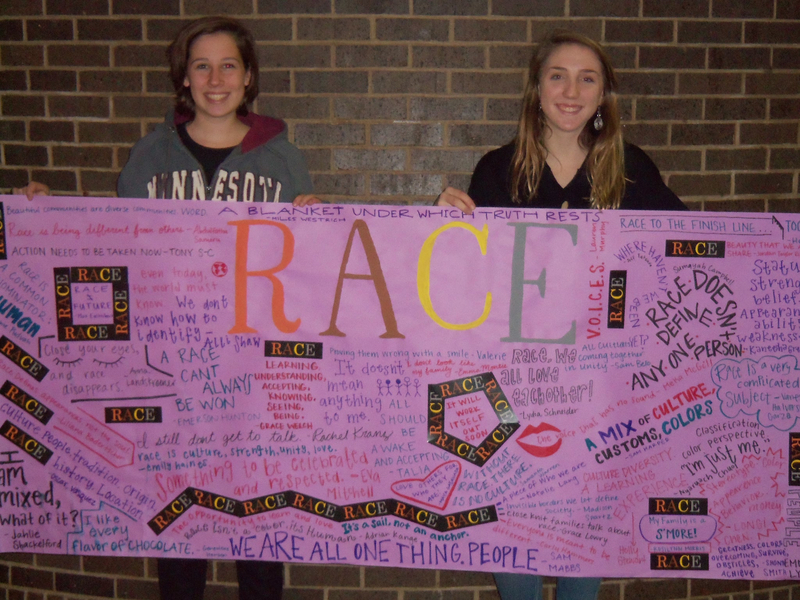 Also, all VOICES students posted their 6 words about Race on Michele Norris’ website. 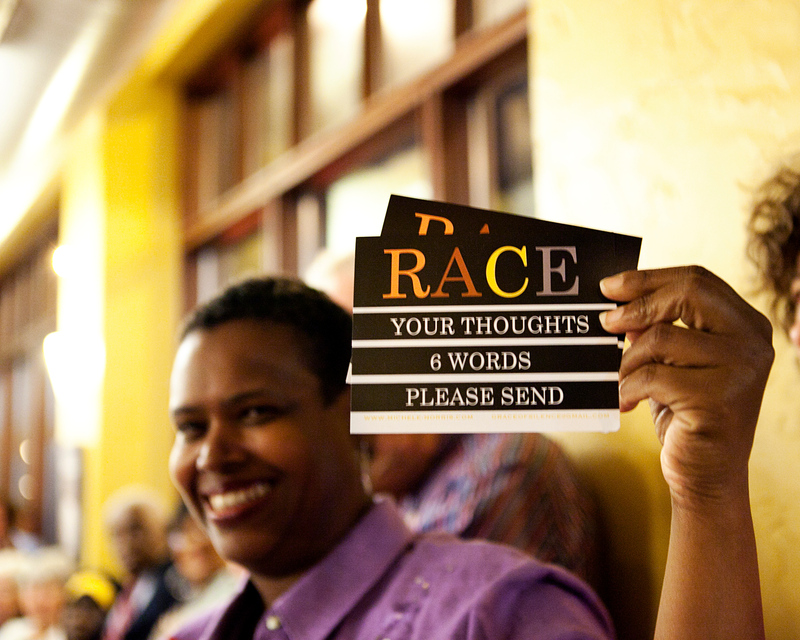 POST YOUR RACE CARD MINNEAPOLIS! That’s funny, you don’t look Jewish. Thumbsucking doesn’t turn your skin black! All 5th grade girls except Mavis.